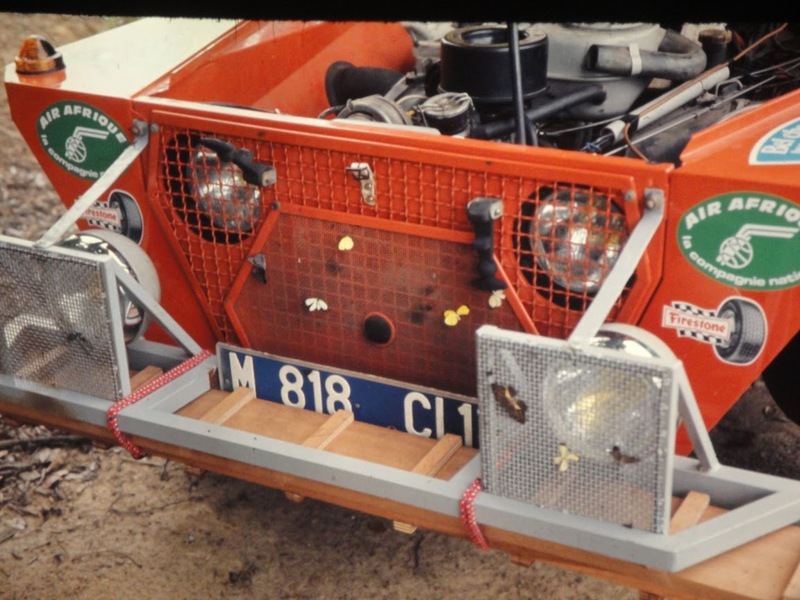 A 600 cc, two-cylinder 2CV kitted out with sheet steel panels bolted together and called the Baby-Brousse is less ridiculous than it sounds. 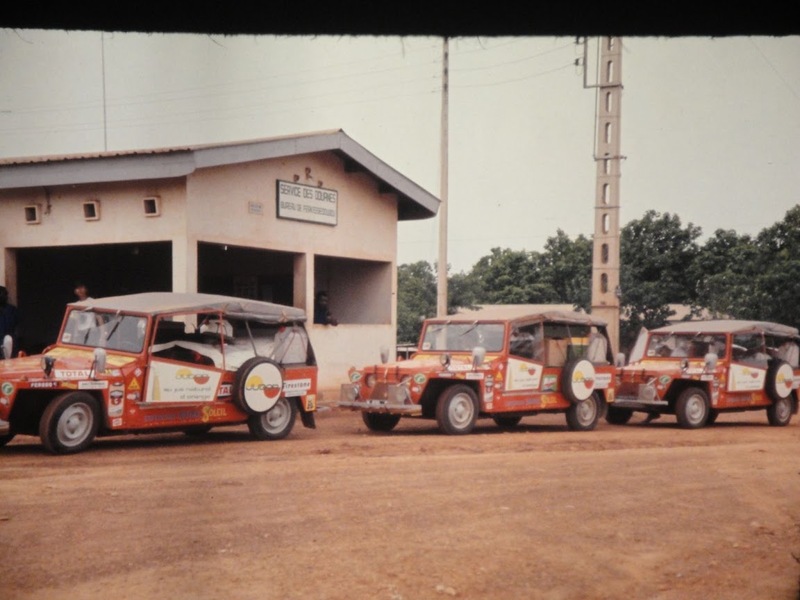 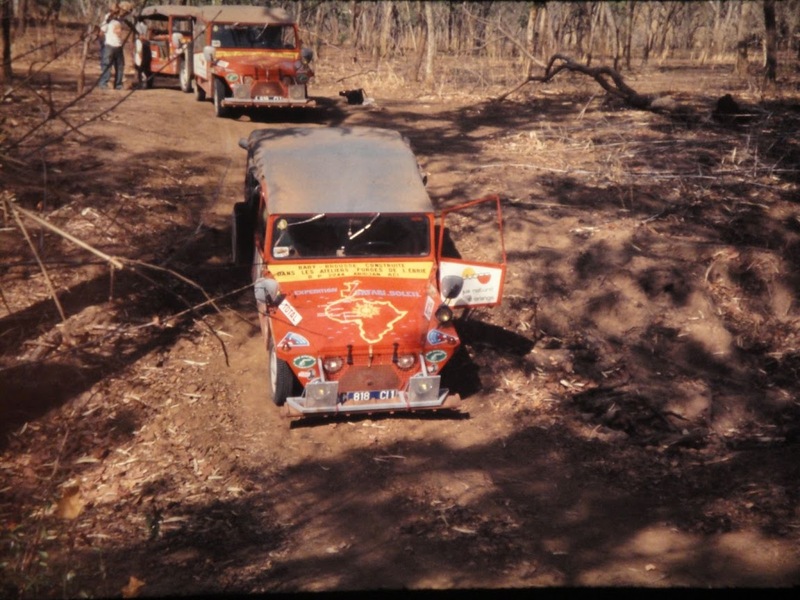 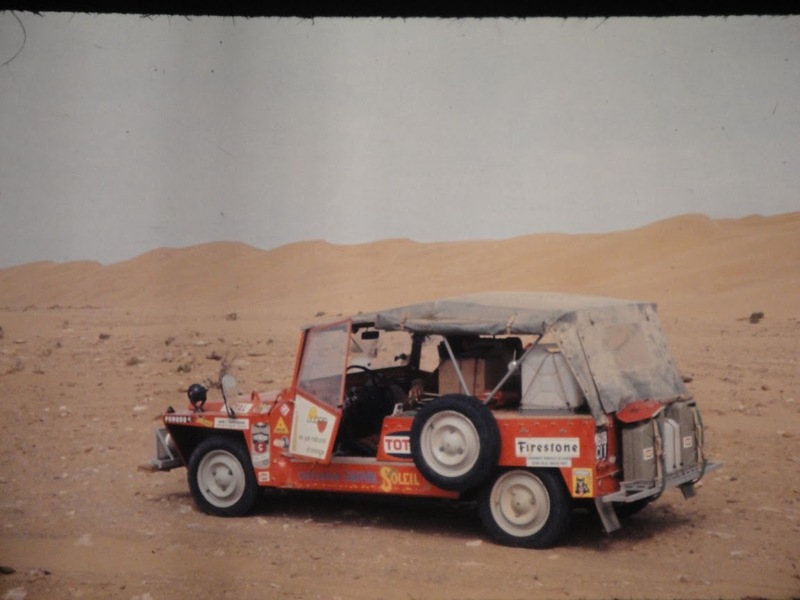 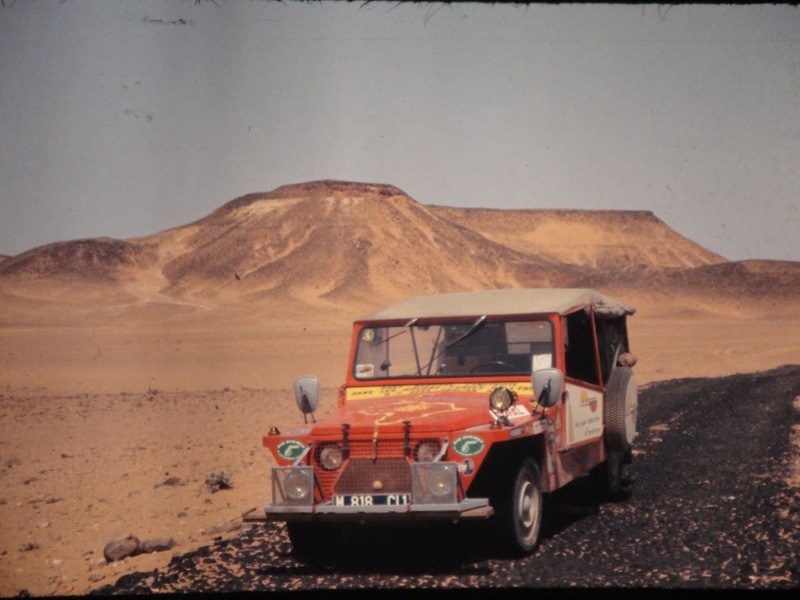 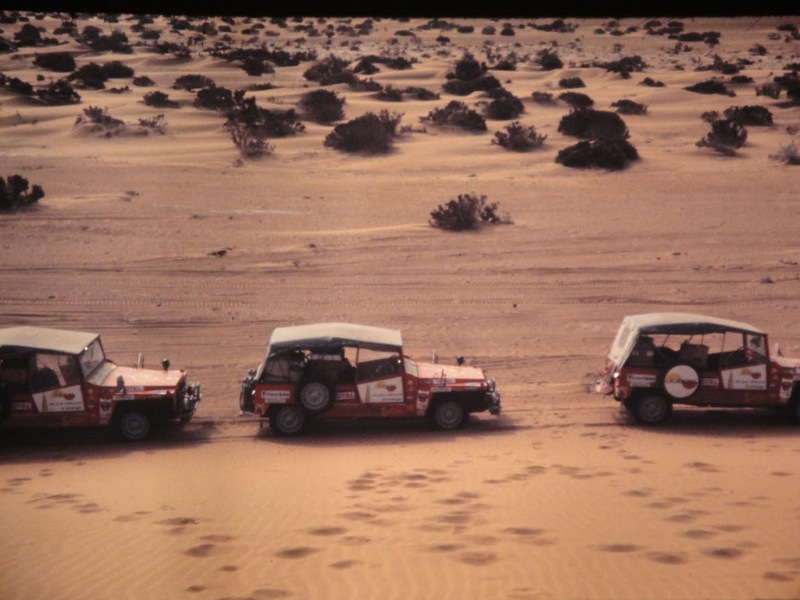 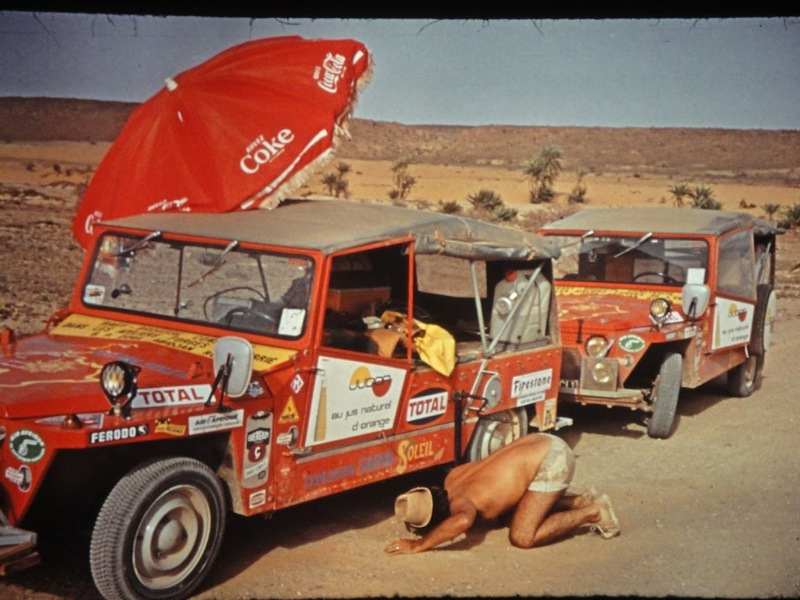 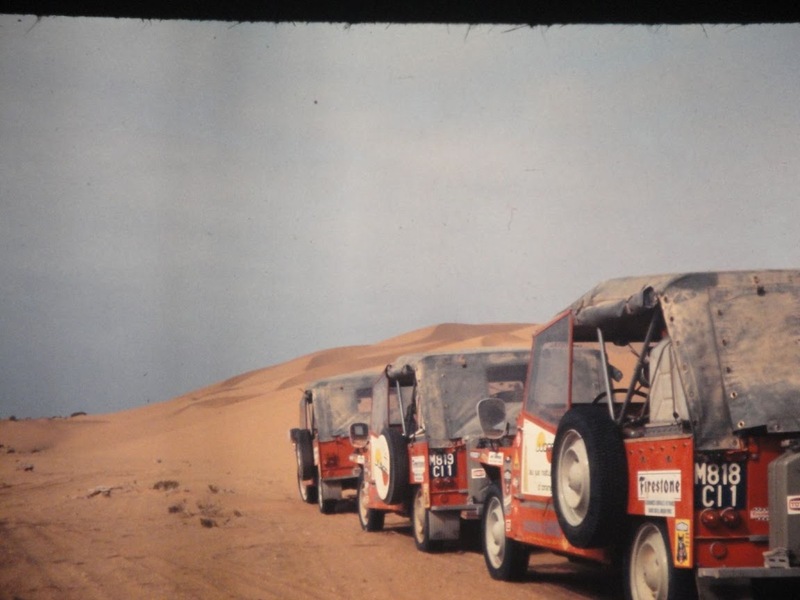 Leaving behind their humble origins as French peasant cars, these little Citroëns rode in 1973 from Paris to Abidjan, on the coast of the Gulf of Guinea, to shame all future Paris–Dakar wannabes. 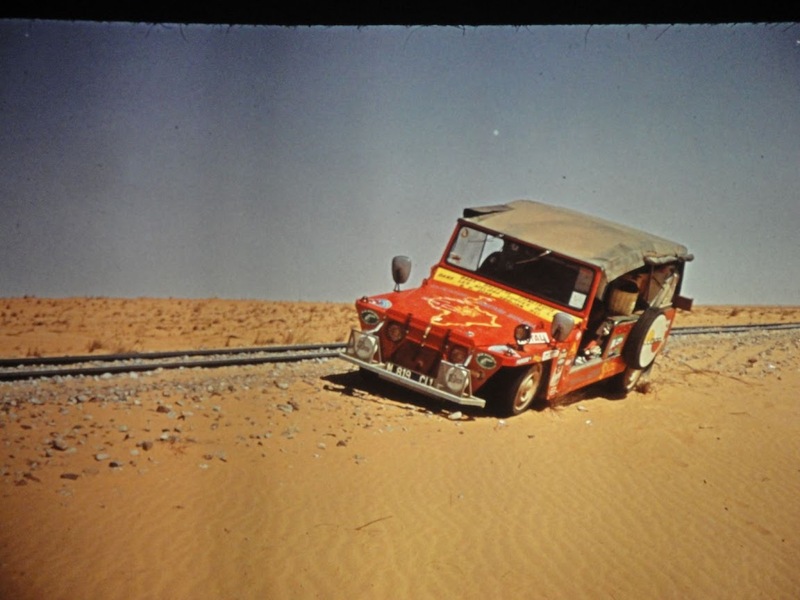 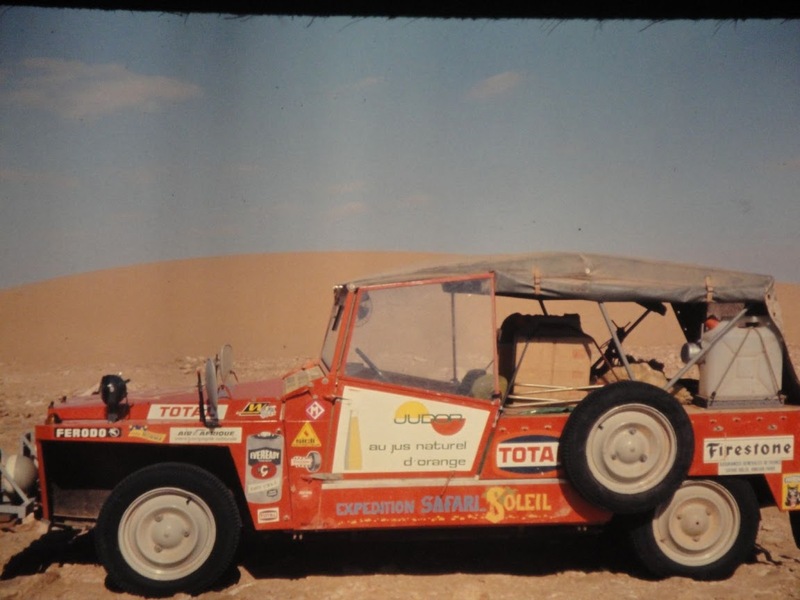 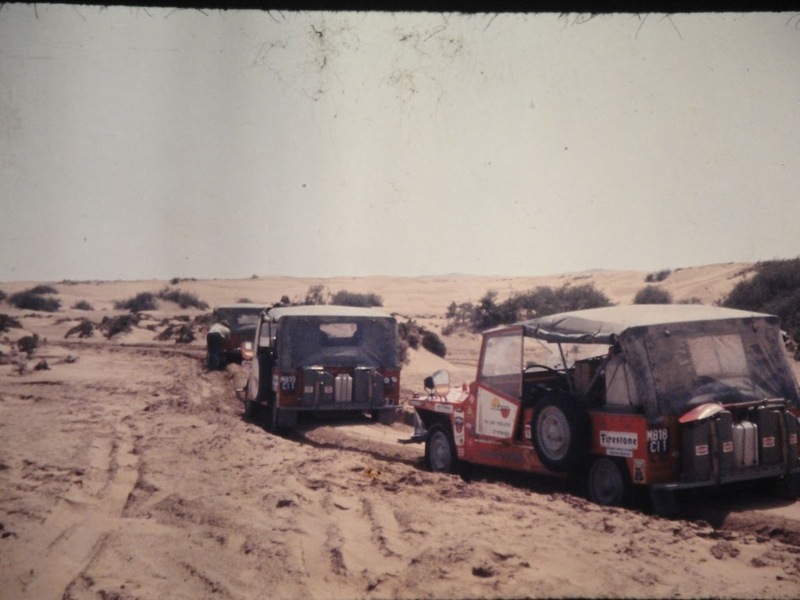 It takes a wild imagination to see the Citroën 2CV as a vehicle fit to cross the most inhospitable terrain on Earth after Antarctica but it’s not like the Sahara is alien to vehicular innovation. 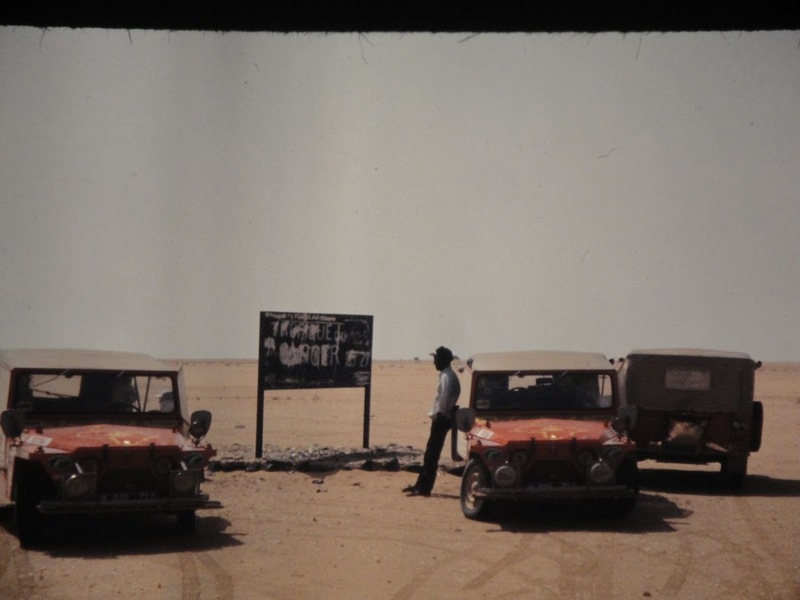 It was here, in the late years of the drawn-out war fought between Libya and Chad from 1978 to 1987 in Chad’s northern Borkou-Ennedi-Tibesti Prefecture, that the good soldiers of Chad discovered that Toyota pickup trucks could be driven fast across the desert and that they were light enough to skip over anti-tank mines without setting them off. 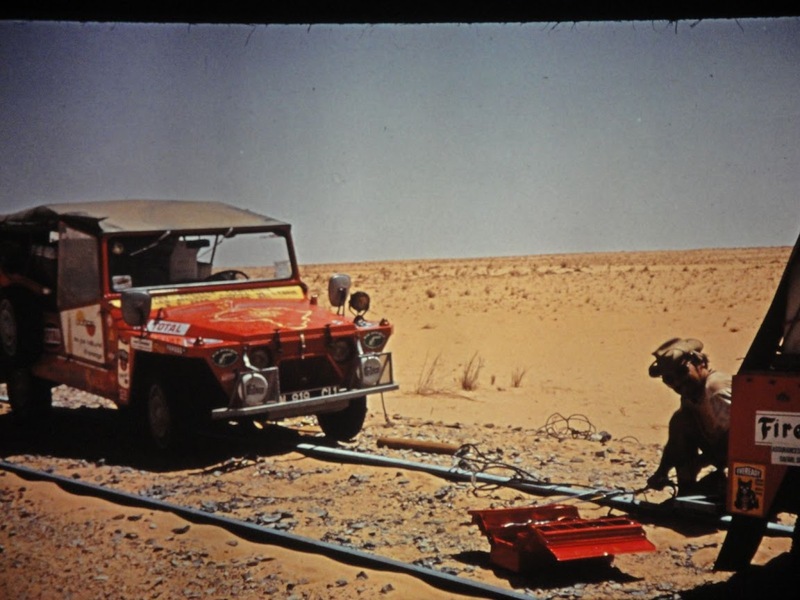 The modern technical was thus born, the war was named after them, and innovation has come full circle: Chad’s former enemies the Libyans have busily speeded up the evolution of technicals with the addition of rocket pods taken off Russian attack helicopters in their fight against other Libyans. The impossibly named Baby–Brousse is a benevolent spinoff to France’s former colonies. 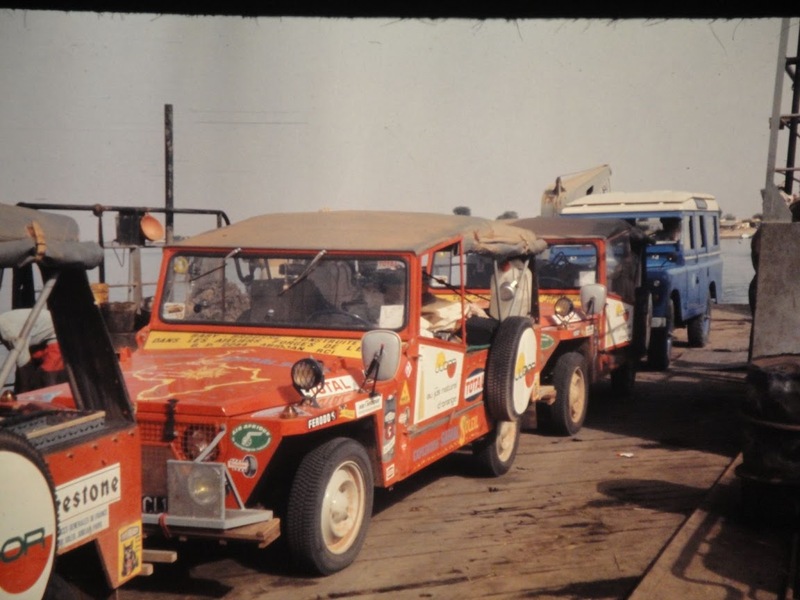 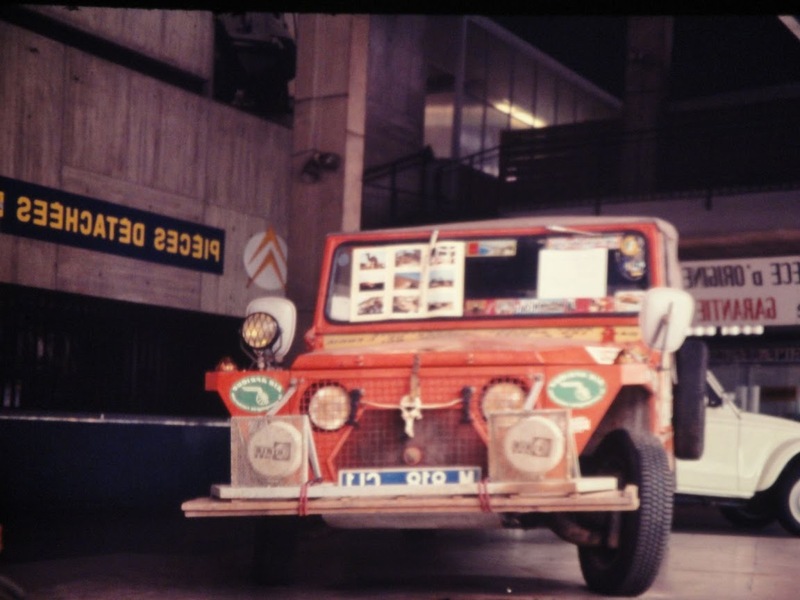 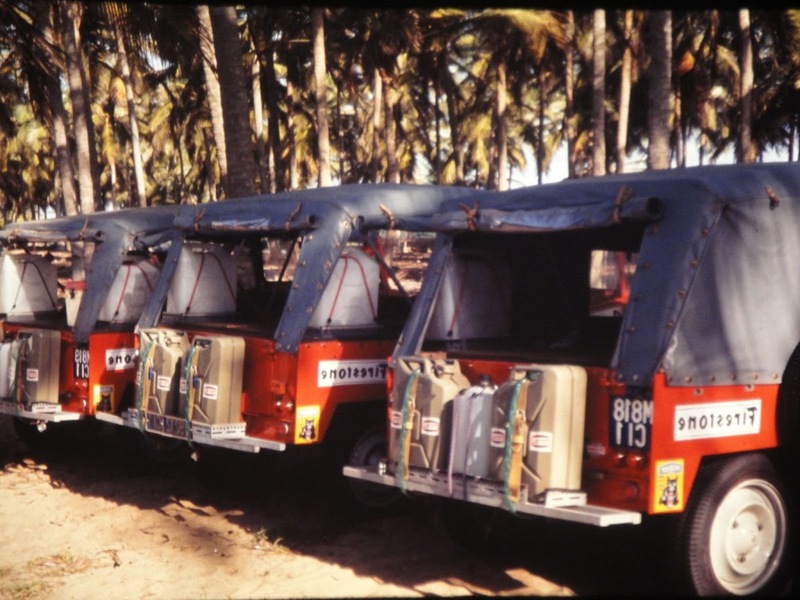 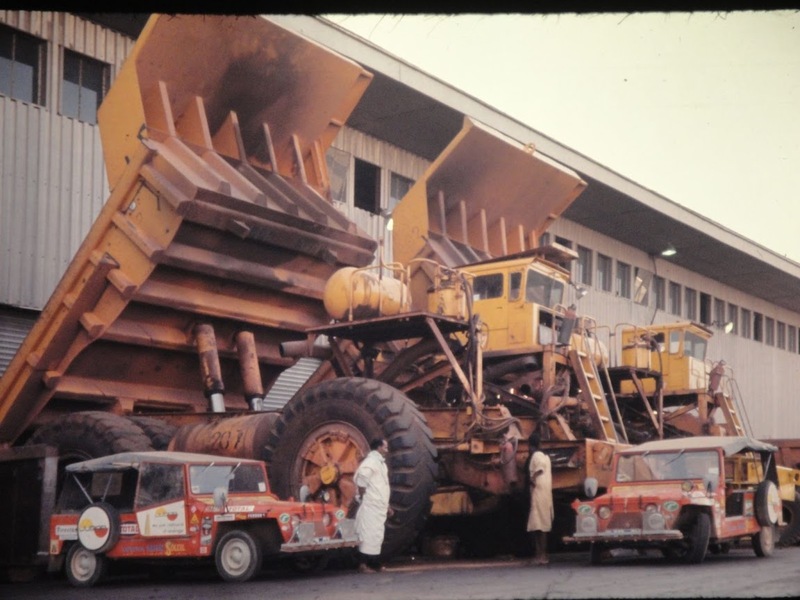 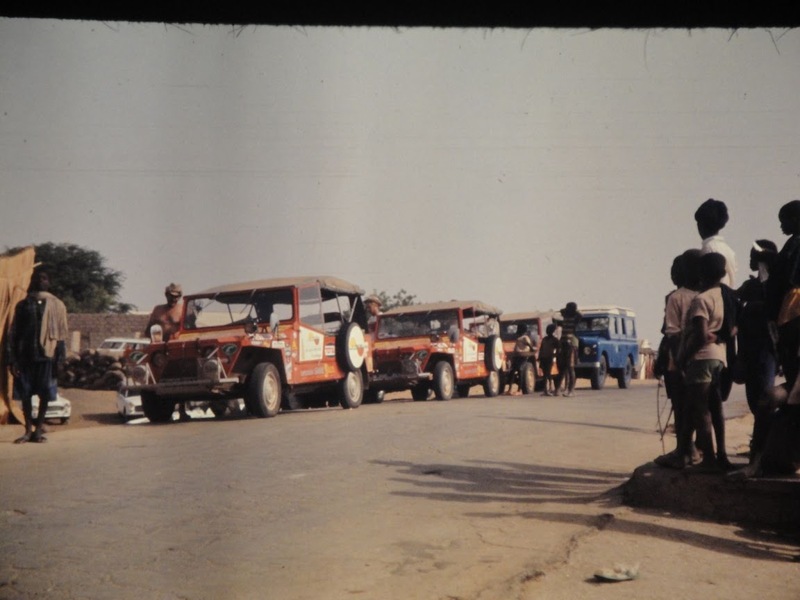 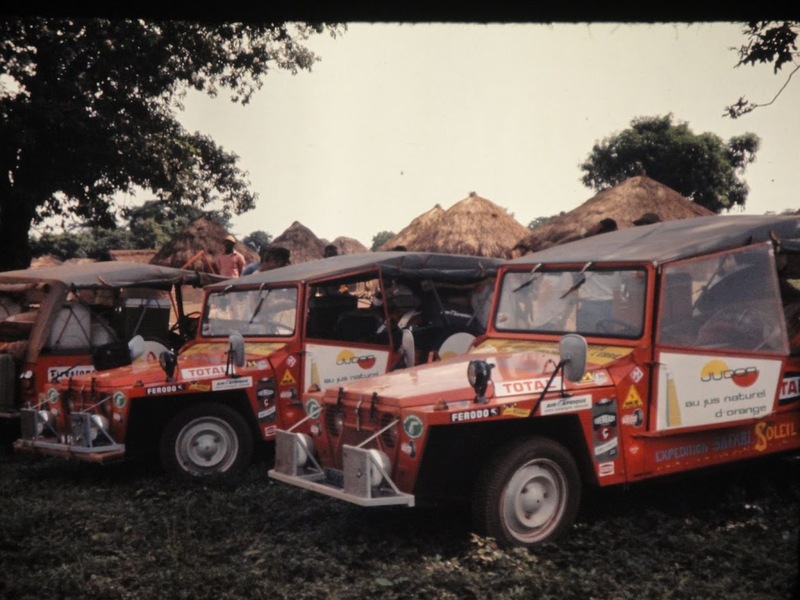 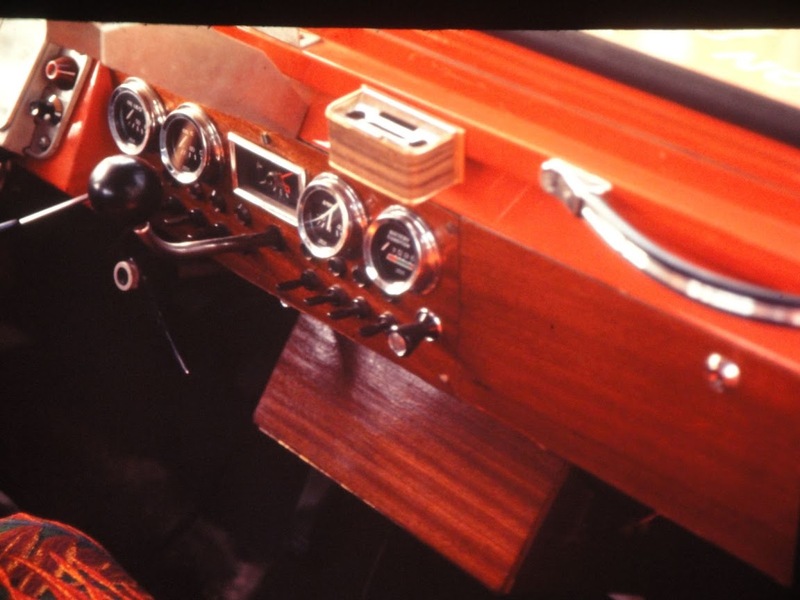 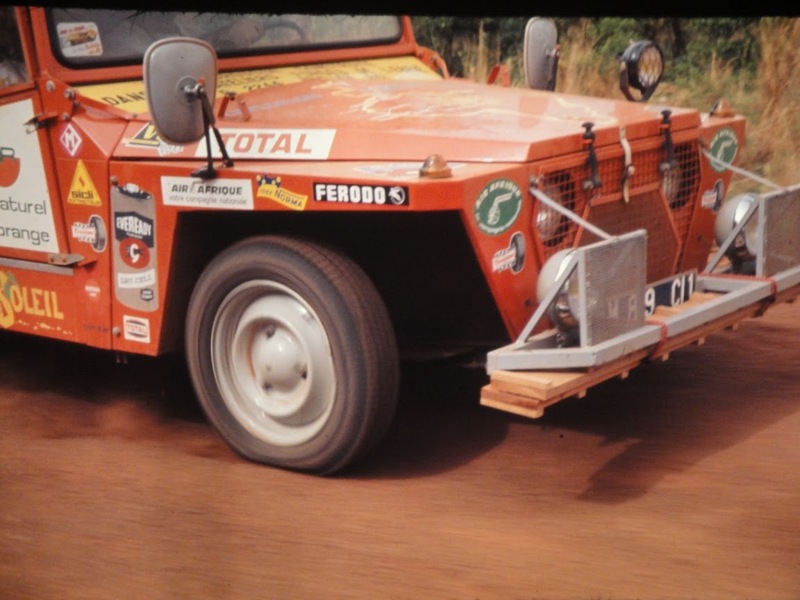 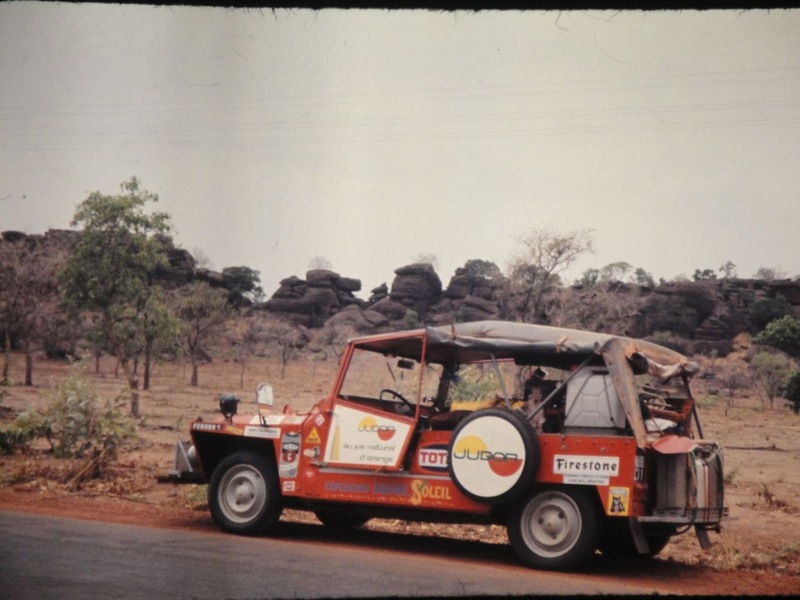 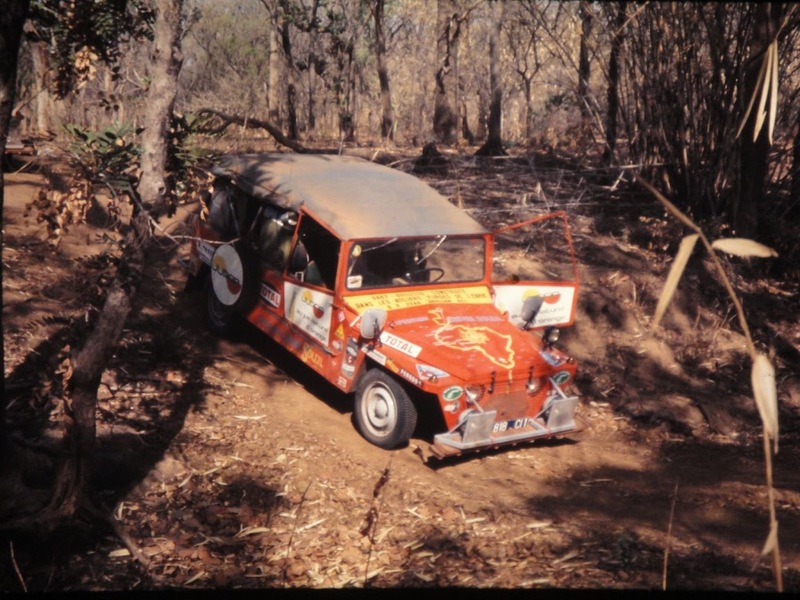 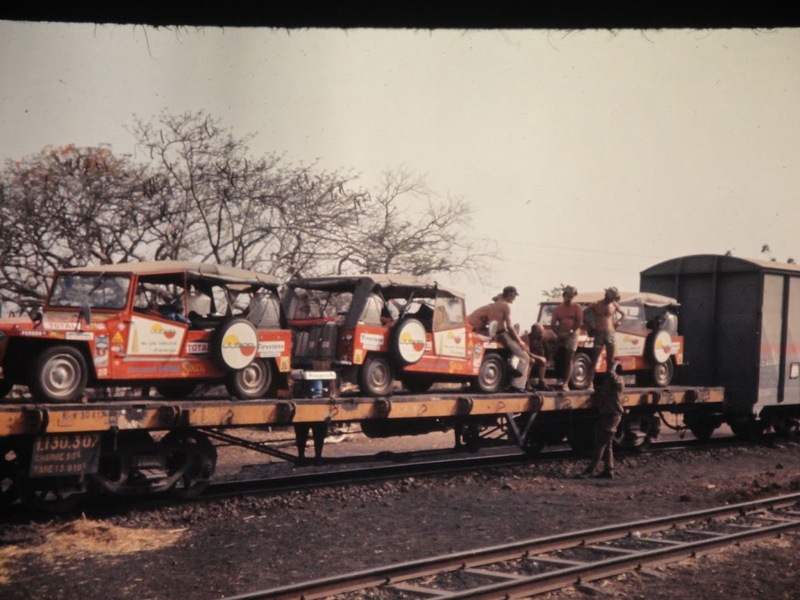 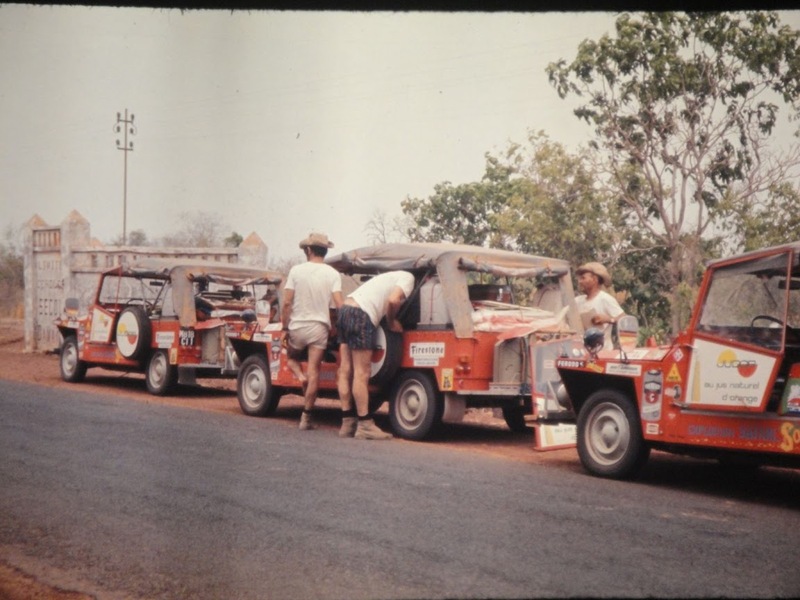 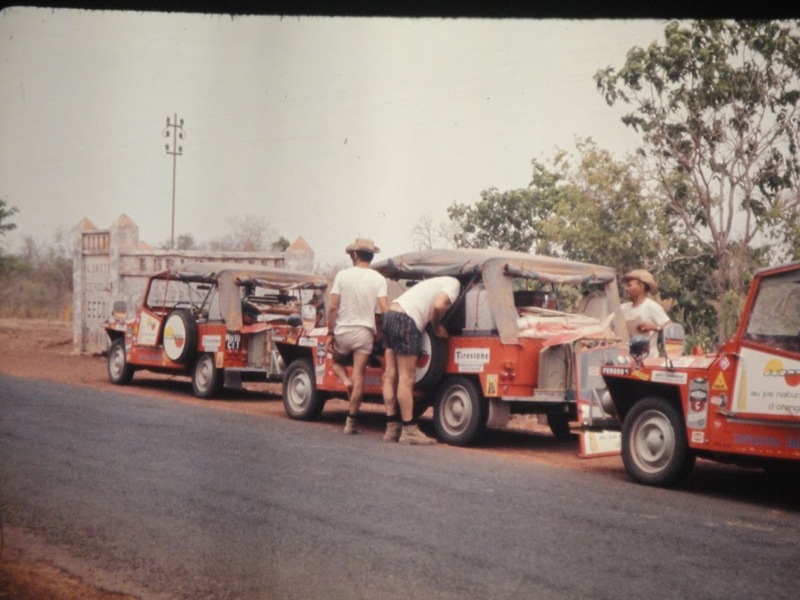 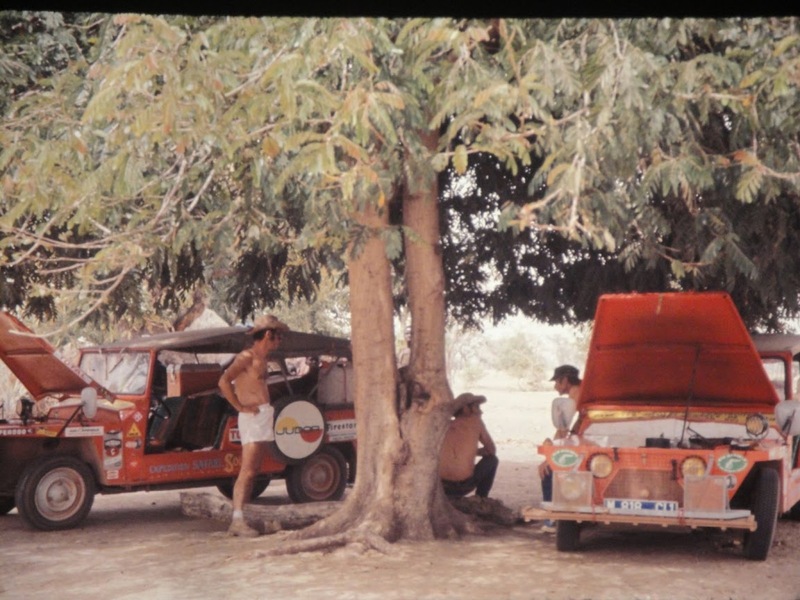 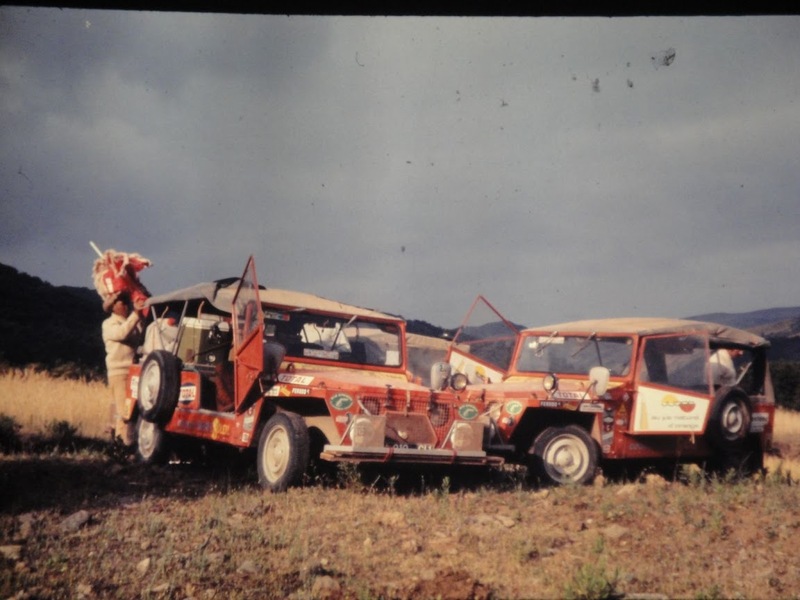 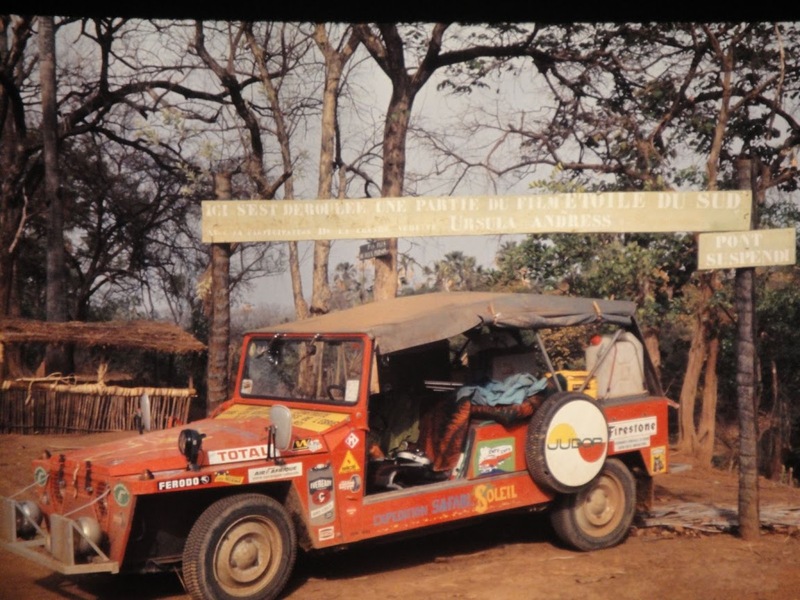 It was made in Abidjan, Ivory Coast, and also under other names in various former French colonies: the Dalat, the Mehari, the Yagán and the Pony are also Baby-Brousses. 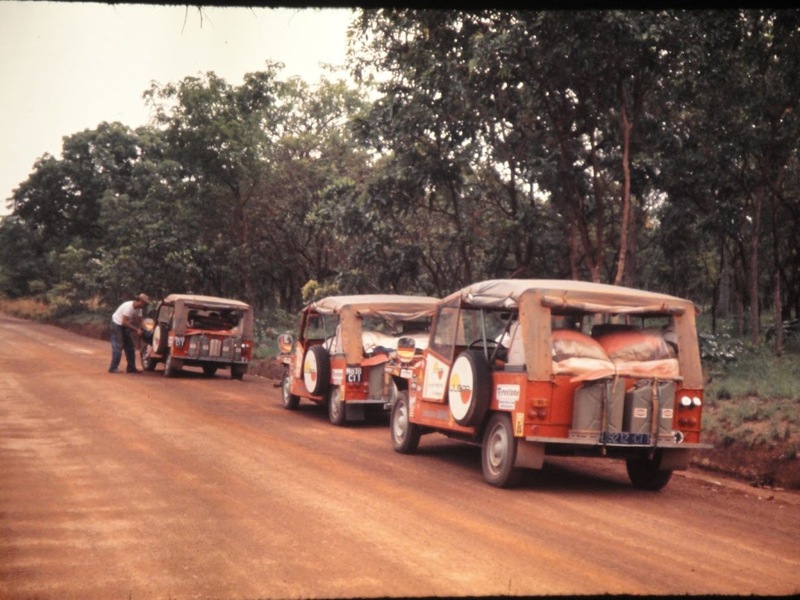 31,000 were built in Abidjan between 1963 and 1987. 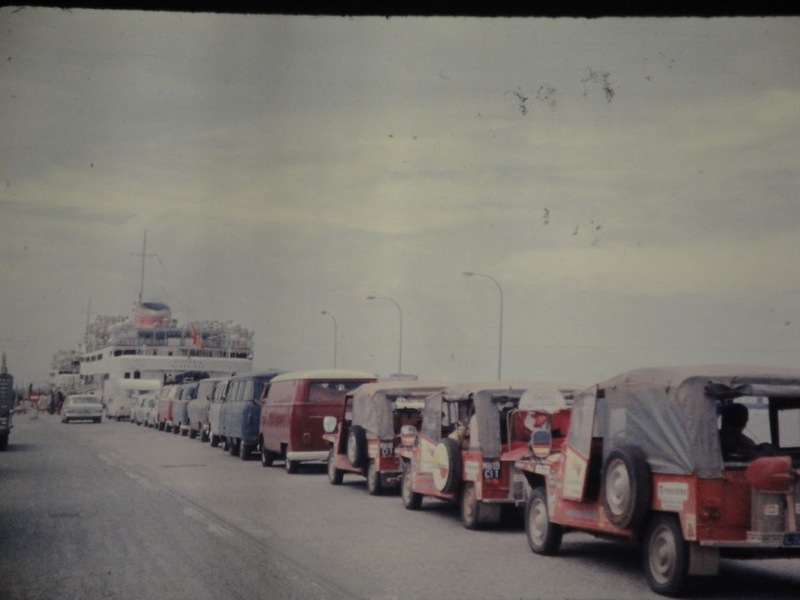 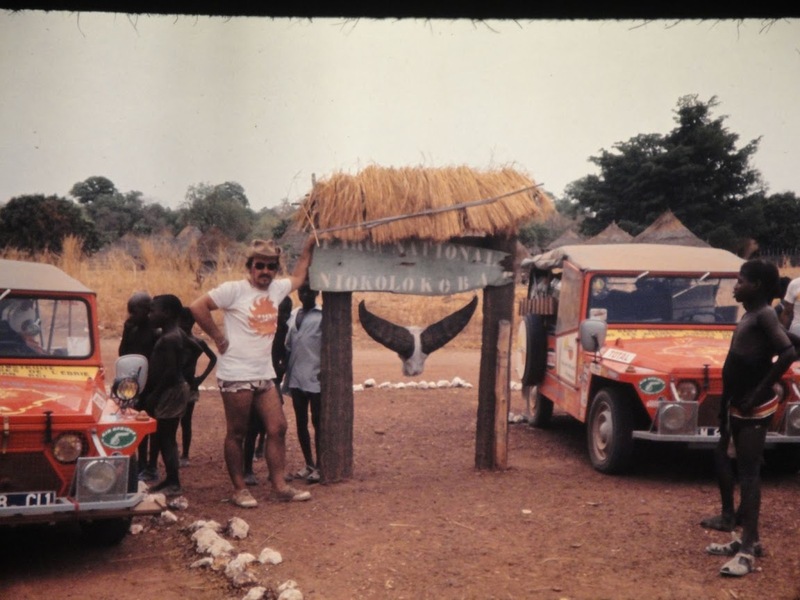 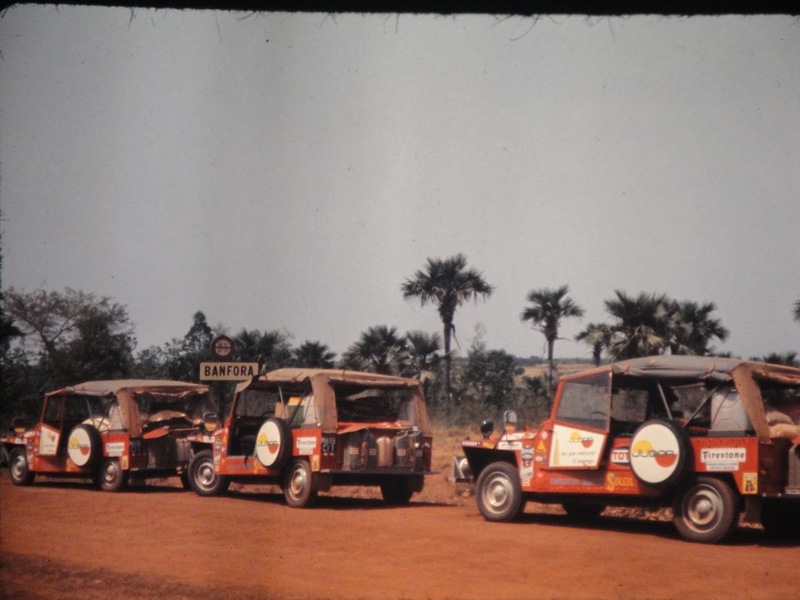 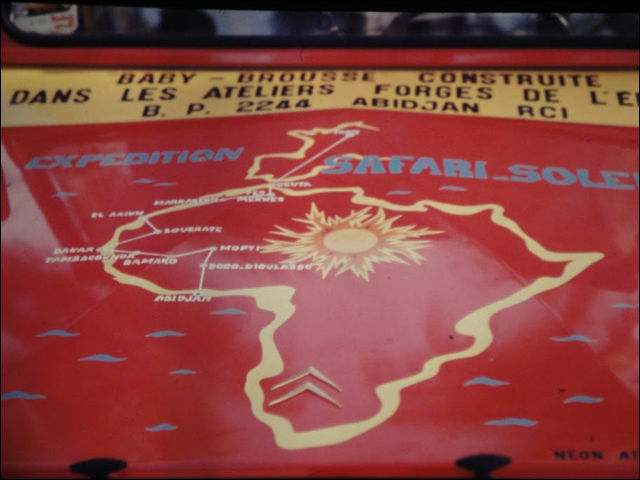 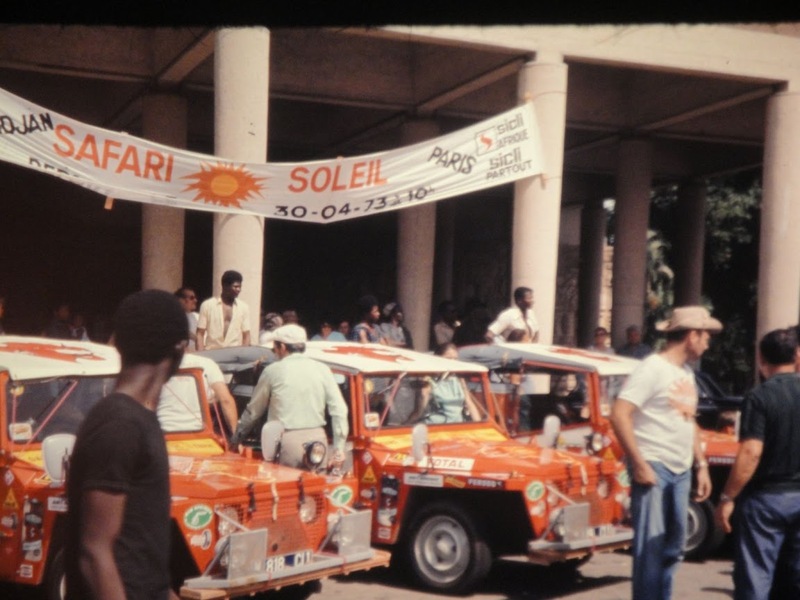 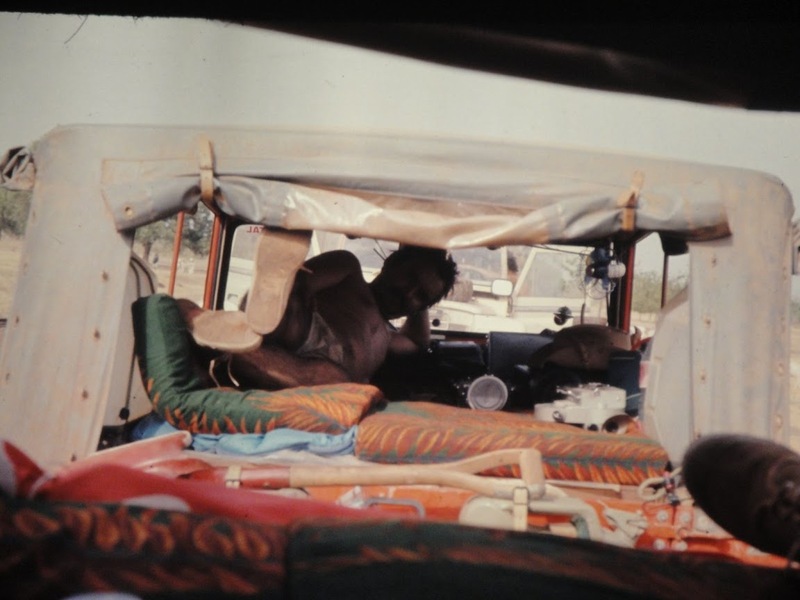 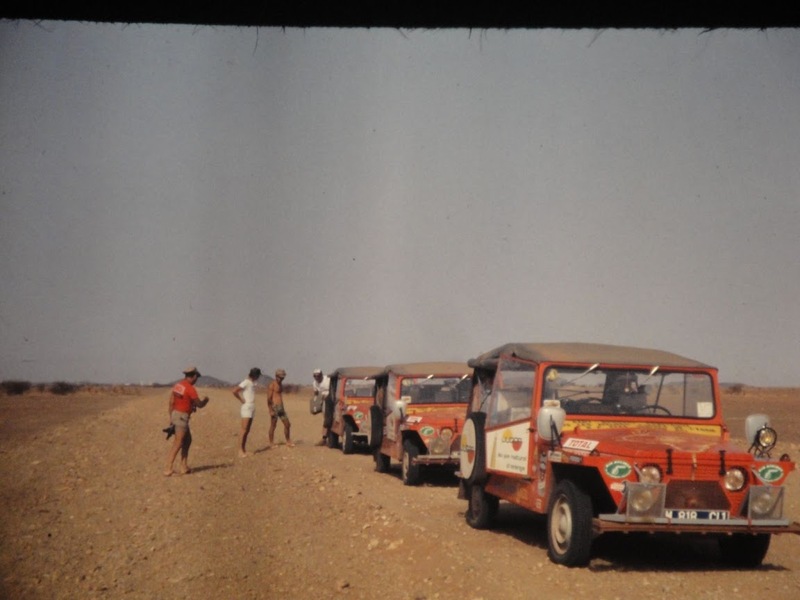 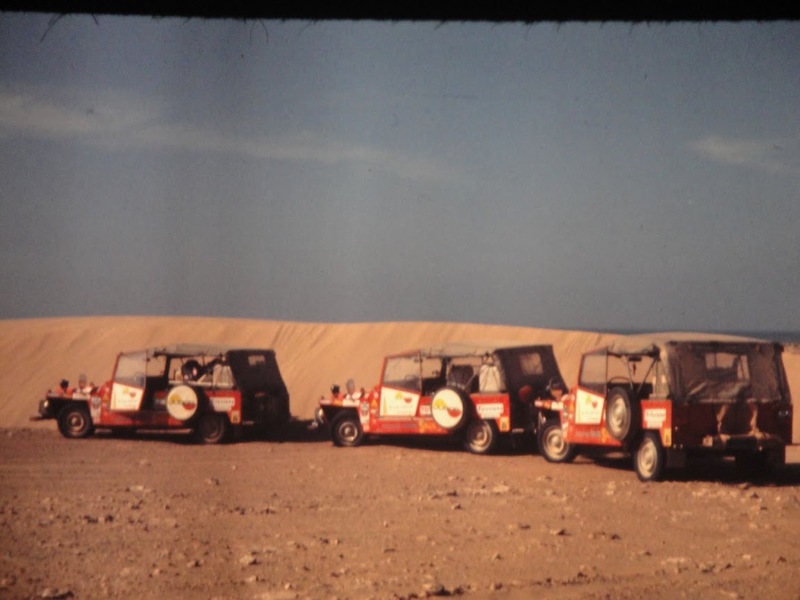 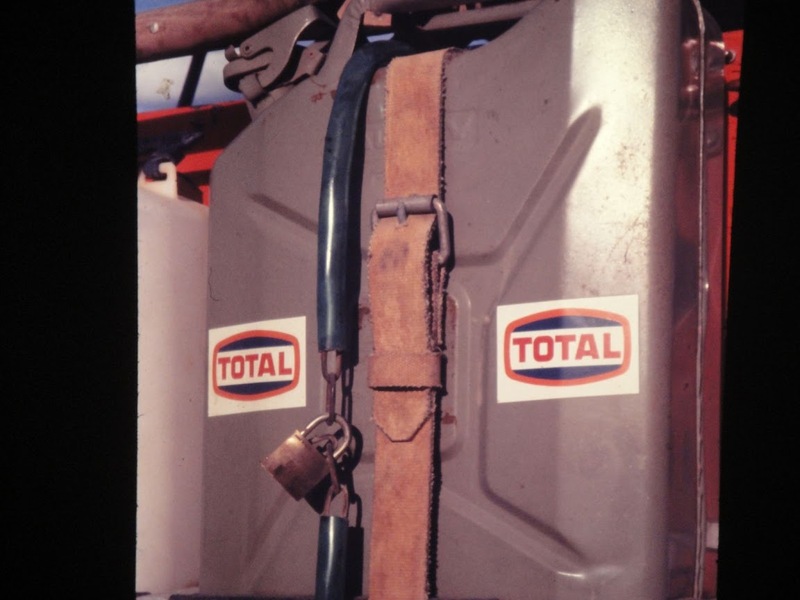 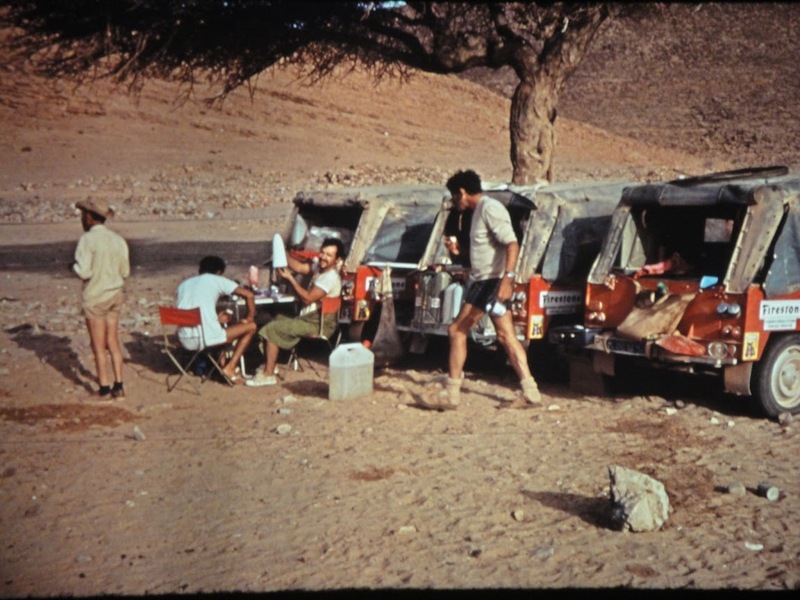 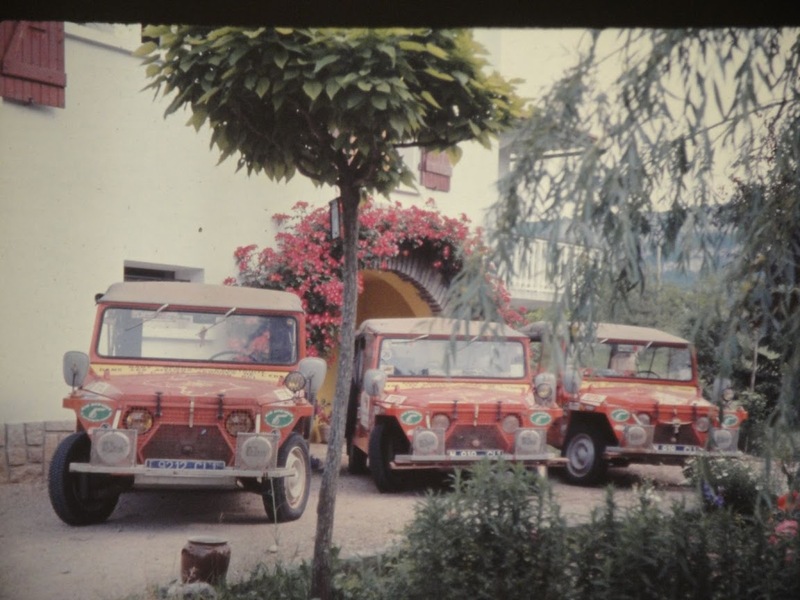 These mysterious, completely undocumented photos show a fleet of Baby-Brousses in 1973 on a road trip between Paris and Abidjan called the Safari Soleil. 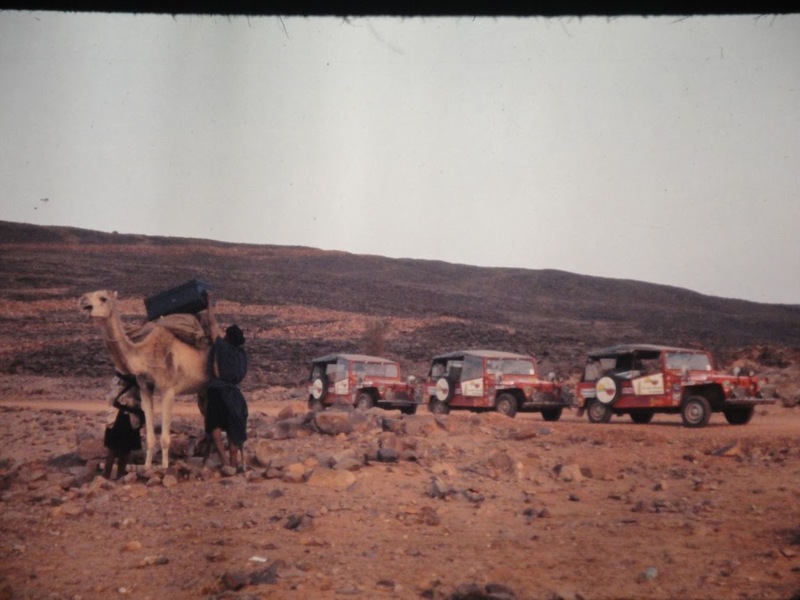 There are camels. 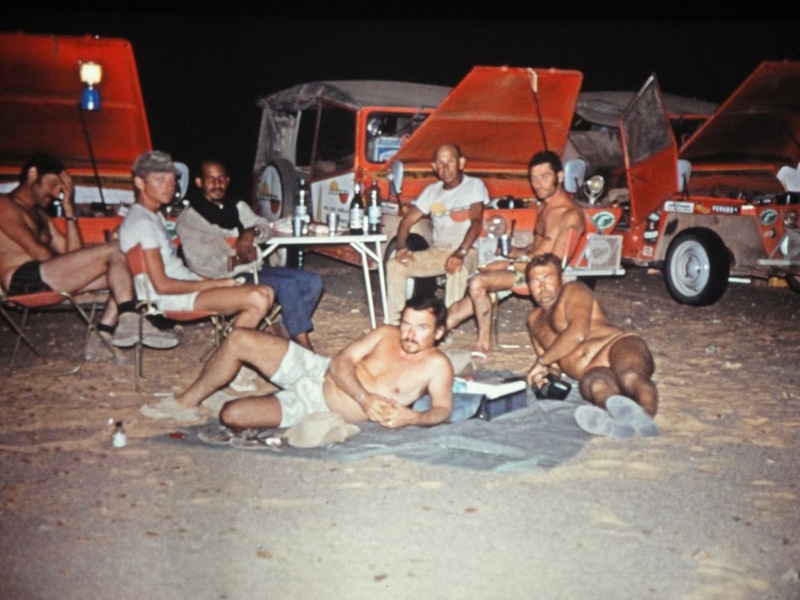 There are French men with mustaches wearing very short shorts and not much else. 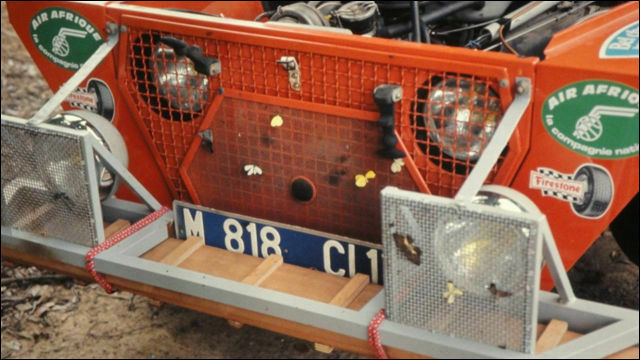 There are exotic butterflies dead on the grilles. 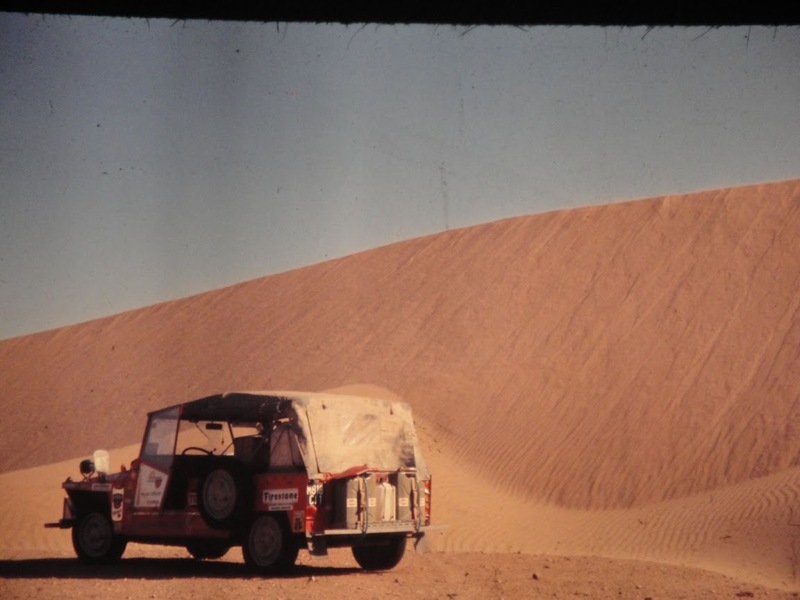 There is much sand. 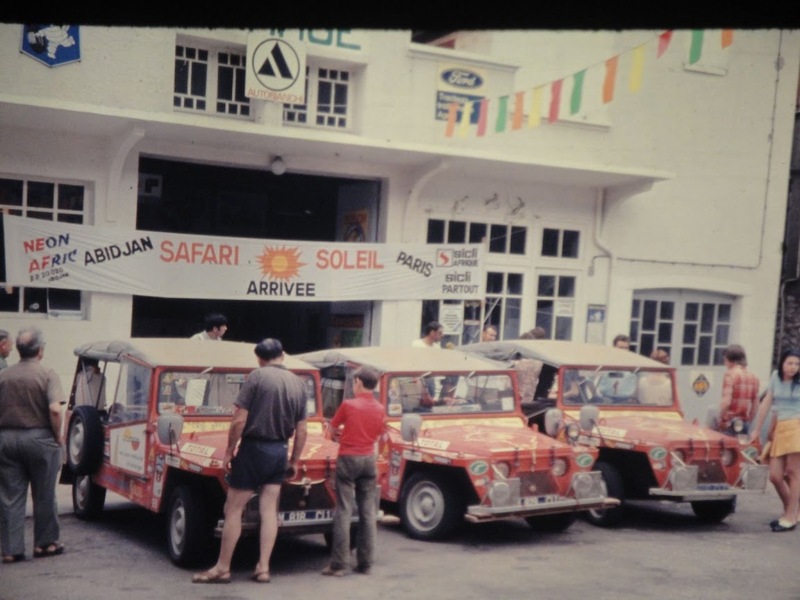 That’s about all there is to the Safari Soleil. 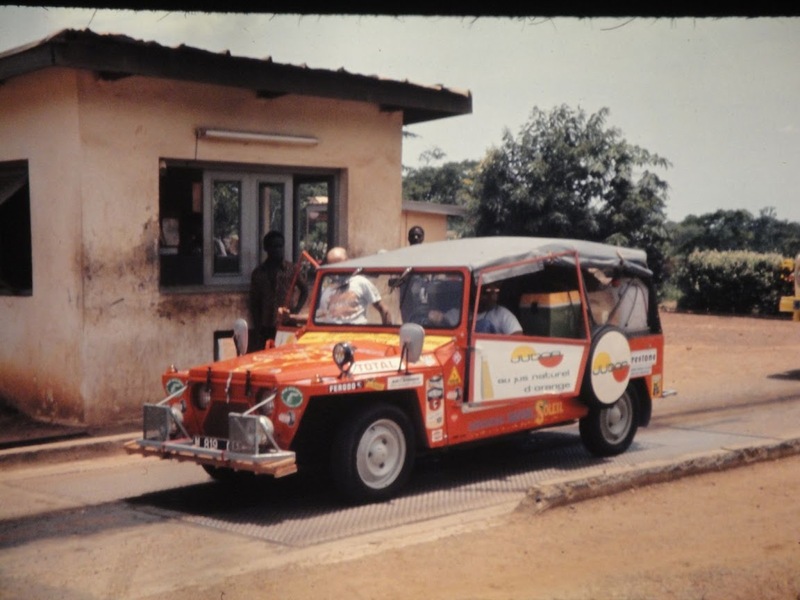 If you habitually drive for groceries in a 4×4 SUV and would like to feel totally ashamed, go see the complete gallery. It’s fun. 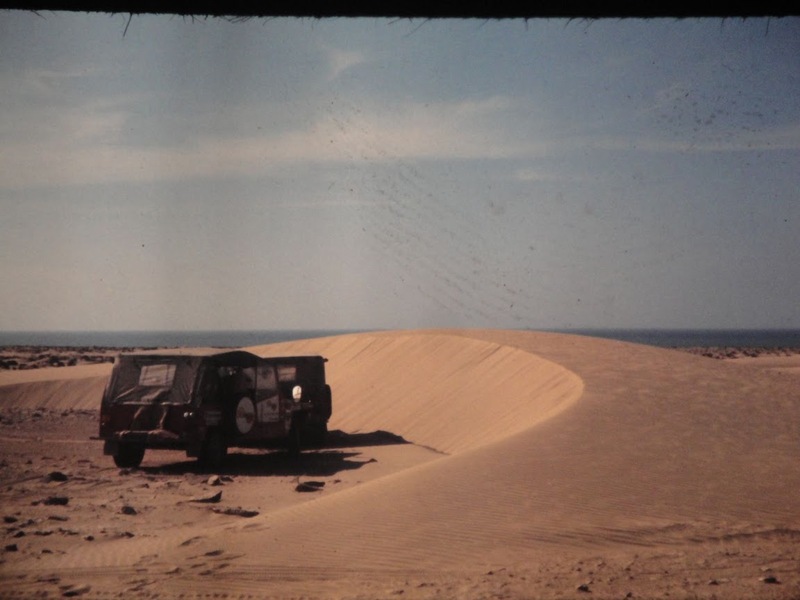 There is much sand. 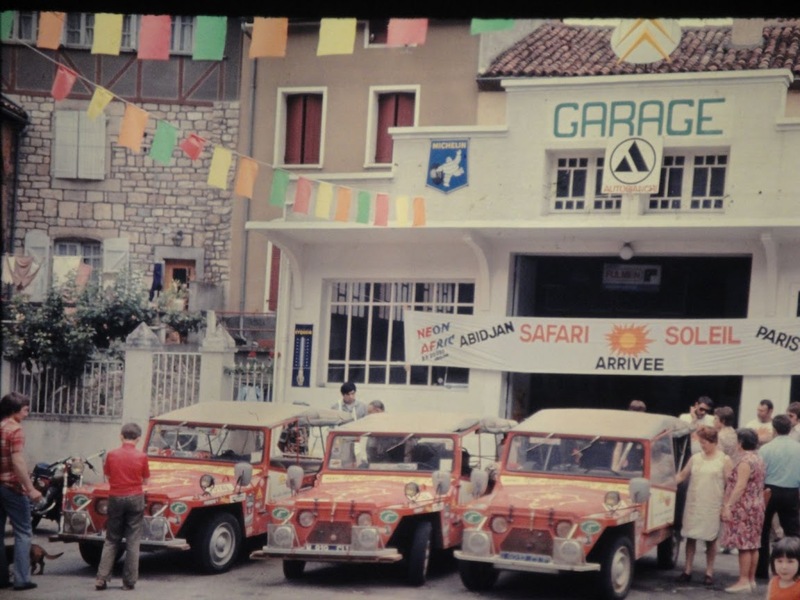 Loving these pictures... great find Neil.